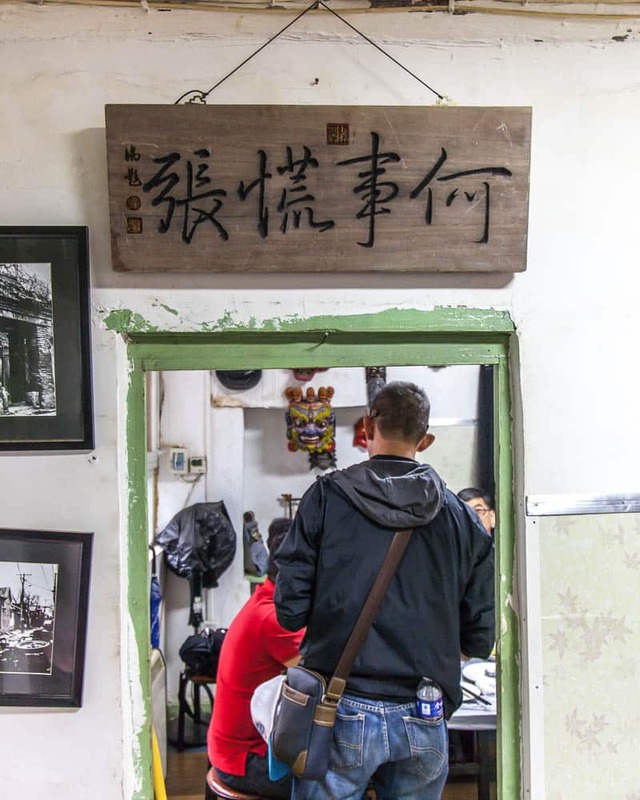 The two-weeks I spent exploring China on assignment with Lonely Planet was jam-packed as I traversed the country from Beijing in the north to the Special Administrative Region of Hong Kong in the south. Logistically China can be a hard country to plan, the visa isn’t cheap and comes with plenty of paperwork, and as such, I was glad to join a G Adventures China tour which had taken care of all the on-the-ground aspects of visiting China, one of LP’s Best In Travel destinations for 2018. 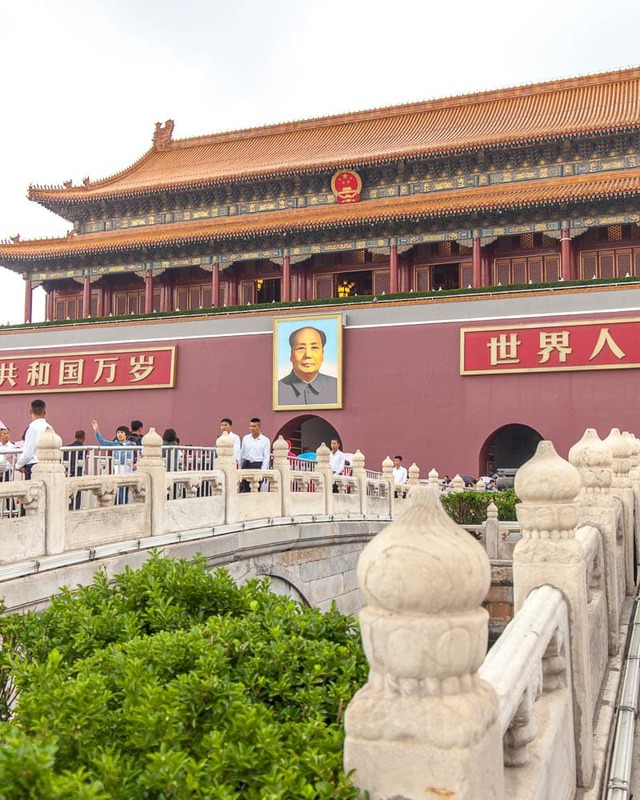 I’ve written a few articles about the amazing places we visited, but I also wanted to give an account of the tour itself as I know China is one country where a lot of people would opt for a tour rather than going it solo, me being included. Keep in mind while reading through this review I usually travel solo and at a slower pace, while from a photography perspective I was dashing around many of these cities a lot quicker than the average person would enjoy. 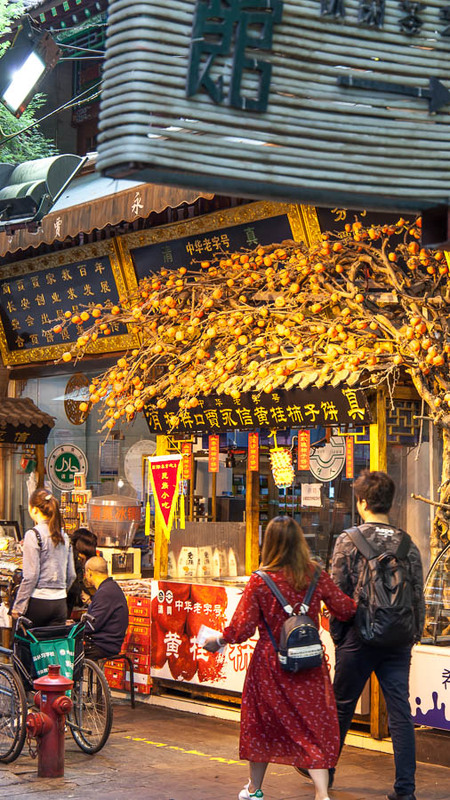 Should you take a tour in China? I think the answer to this question really depends on how confident of a traveller you are. 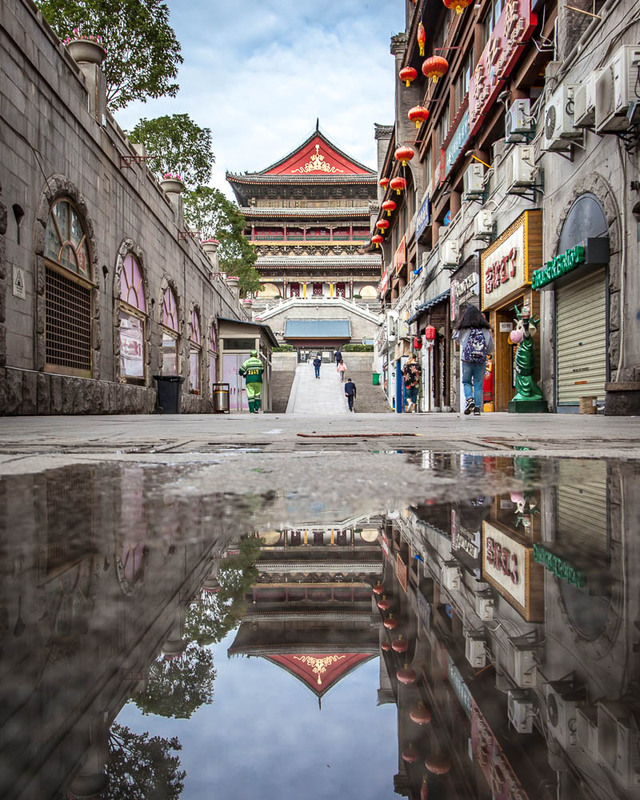 I’ve travelled to a lot of countries solo before including Shanghai for a layover, and I personally found parts of visiting China quite overwhelming. 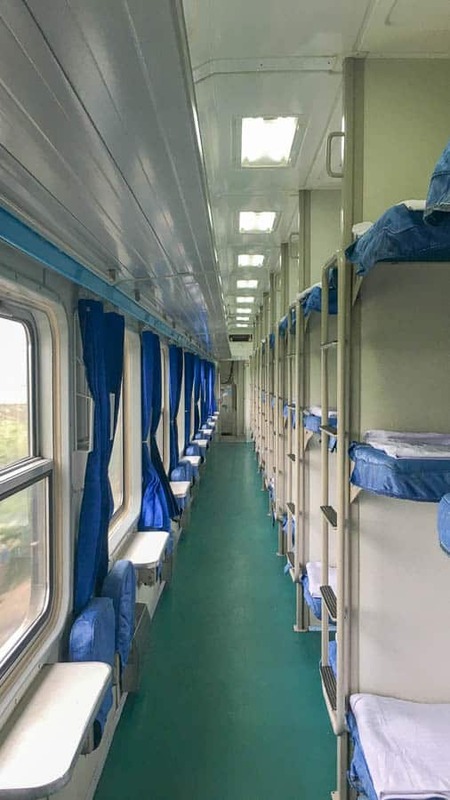 There is indeed a language barrier in China and other considerations such as booking sleeper trains in advance, some accommodation not accepting foreigners etc. 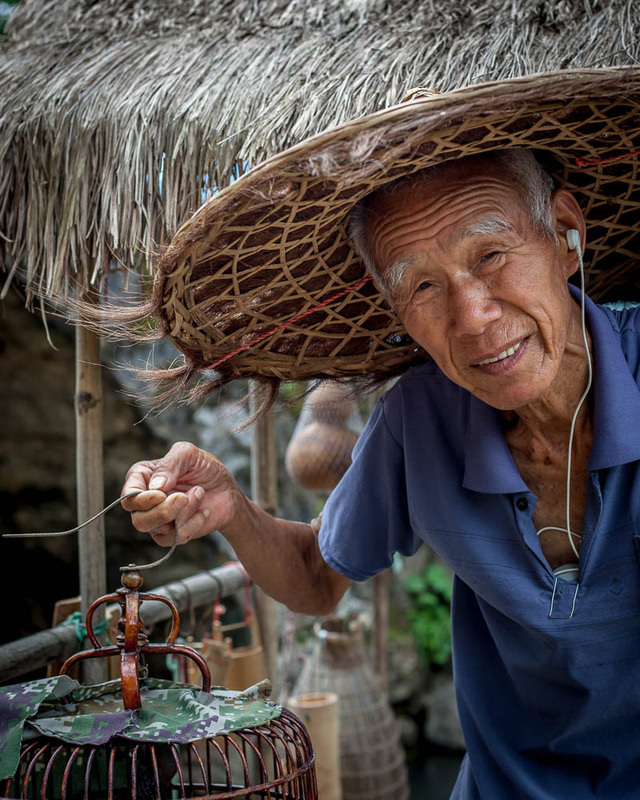 In cities such as Hong Kong which is a SAR, Shanghai and Beijing; you’ll not struggle as much, whereas in the countryside you might find it harder although surprisingly in the remote village of Ping’an I found English more common. I found my first solo trip to India harder, to be honest, but China does provide it’s own struggles mainly depending on where you decide to visit. I found the China Tour I did with G Adventures a good balance as the accommodation, transport and guide was sorted, but you still had pretty much free-range over your itinerary, if you wanted to stay with the group and guide you could, but you were also free to break away and explore solo in the cities too. If you do decide to travel China solo, be sure to have access to the internet on your phone for maps and translation services and to be honest, even if going on a tour, these came in handy. The biggest highlight of the tour for me was our guide, Yoyo. She had an excellent sense of humour, was on-hand whenever needed and really open to all and any questions the group had. I also had a bit of an accident on the tour which hurt my ankle, and she went out of her way to make sure I was looked after. 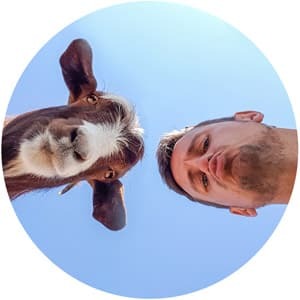 Having done a Peru tour with G Adventures last year with an equally great guide, I think they really excel at picking the right people for their Chief Experience Officer positions. Yoyo was such a legend I know many of our group download the local app WeChat to keep in touch with her. The other things I really enjoyed about the tour was having everything taken care of, as I said above, planning your own China trip can be pretty exhausting. 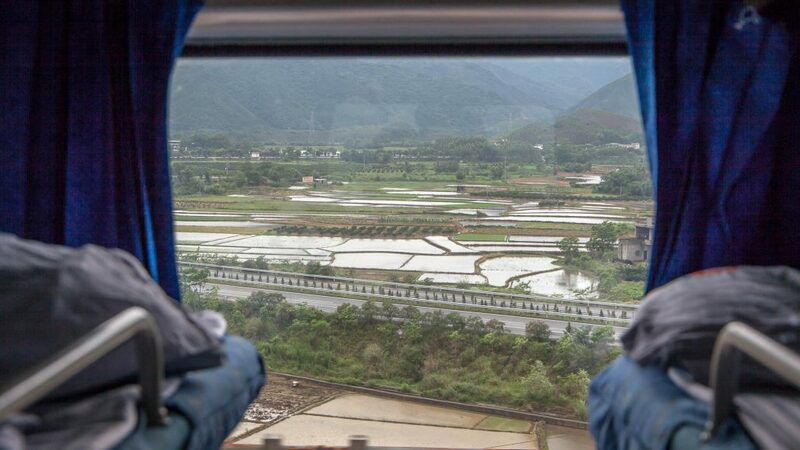 When I was initially looking to do it solo, I found the train booking particularly confusing, but now I’ve been on a tour and seen how the country works, I would feel more confident arranging my next visit without a tour. Over the space of 14-days, we went from the north to the south of the country. There was A LOT of travelling involved (see more on that below), and at times it did feel a bit intense, which is down to the vast size of the country more than anything else. I’ve written a summary of each spot below, and you can click through for a more in-depth roundup. One thing I would say is you really would need to add an extra night in Hong Kong at the end to make the most of visiting, and potentially an additional first night in Beijing. Thus, the 14-days could become 16-days but if the extra vacation time I possible, I think it’s for the best. 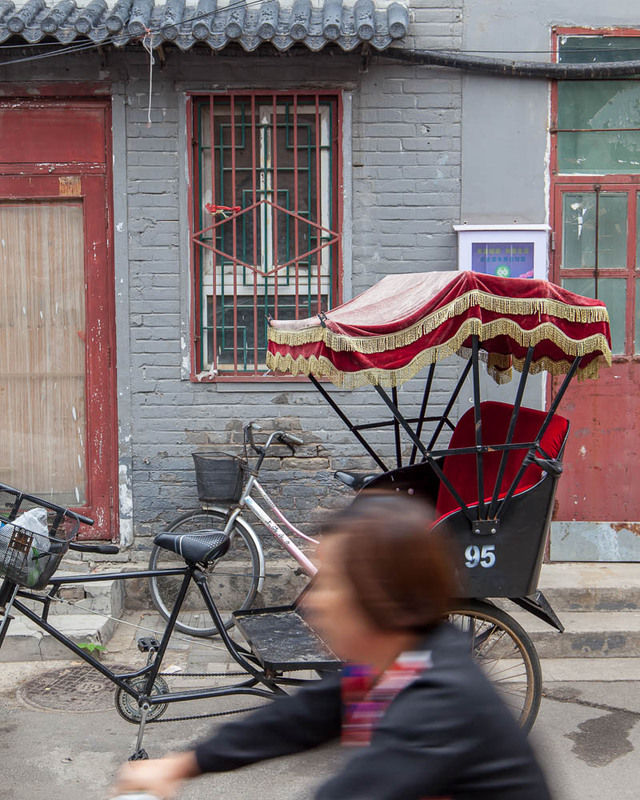 The capital of China, Beijing actually seemed calmer and more relaxed than Shanghai. The Forbidden City, a grand imperial palace now museum was the main attraction here although I still found time to explore the traditional Hutongs (alleys and houses) and break away from the group for a whirlwind tour of the cities more modern bars, architecture and shopping malls. We arrived into Xi’an late at night so grabbed some food and headed to bed. In the morning I woke up super early to visit the Muslim Quarter and Mosque (Xi’an being the end of the eastern Old Silk Road). I then dashed around some of the cities other attractions such as the Drum and Bell tower and visited the city walls. The time in Xi’an was rushed, and I would have enjoyed a bit longer here. 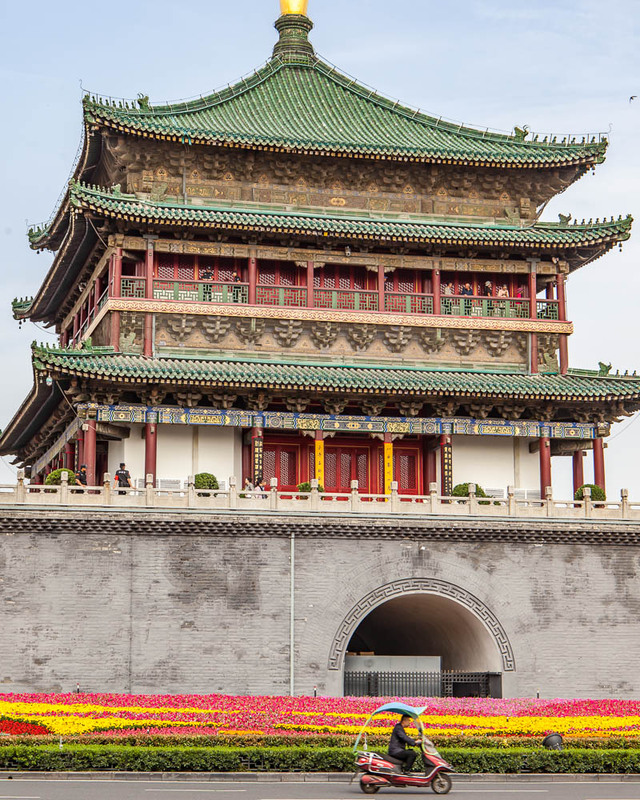 Our tour included side trips from Beijing and Xi’an to two of the countries most famous attractions. 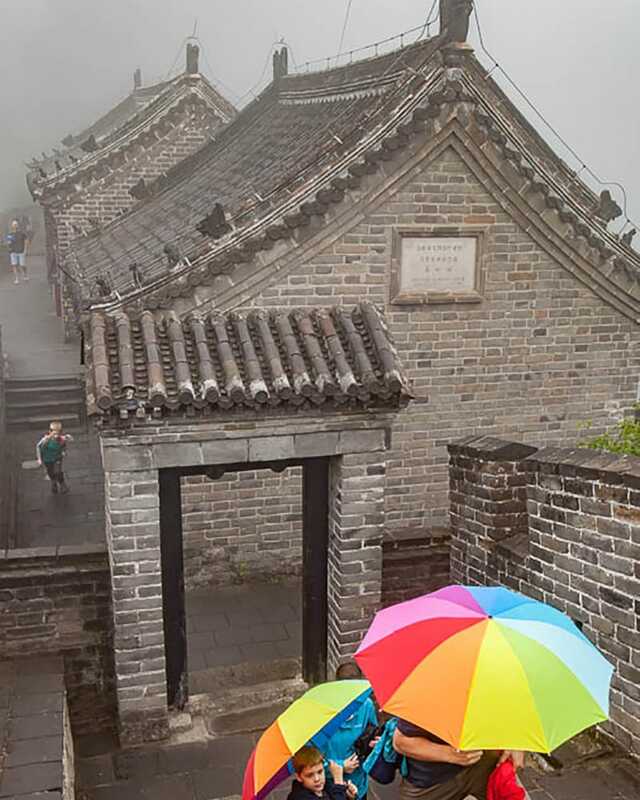 For The Great Wall of China, we visited the Mutianyu section, one of the best restored and I had heard most beautiful. Sadly the weather was so poor we had very limited visibility; something to consider when taking a tour is if the weather affects you, you still have to carry on and can’t shuffle plans to accommodate it. 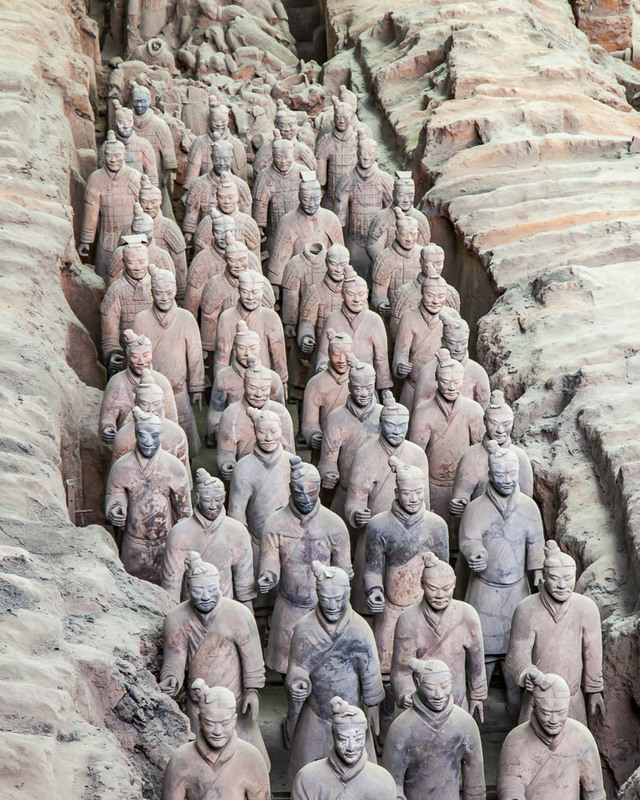 The Terracotta Warriors are a fascinating site, and this underground army which surrounds the burial site of China’s first emperor will intrigue anyone, even those who aren’t interested in excavation and archaeology. 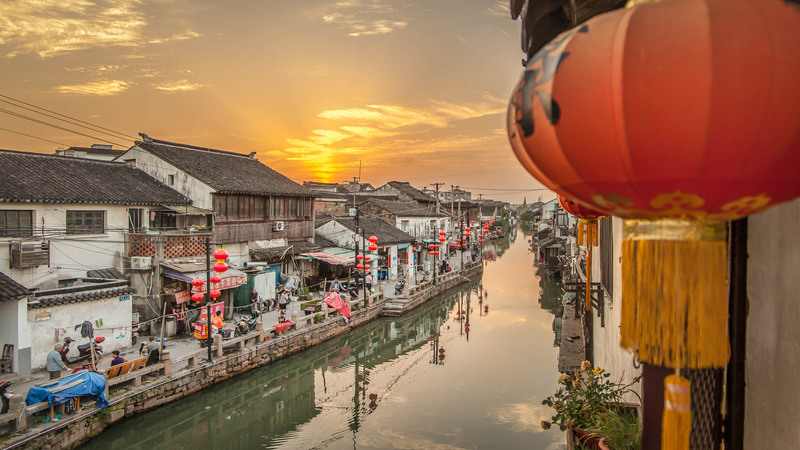 Suzhou was one of my favourite places we visited, and although I would have loved an extra night here, I was pleased with how much we were able to see in the time we had. 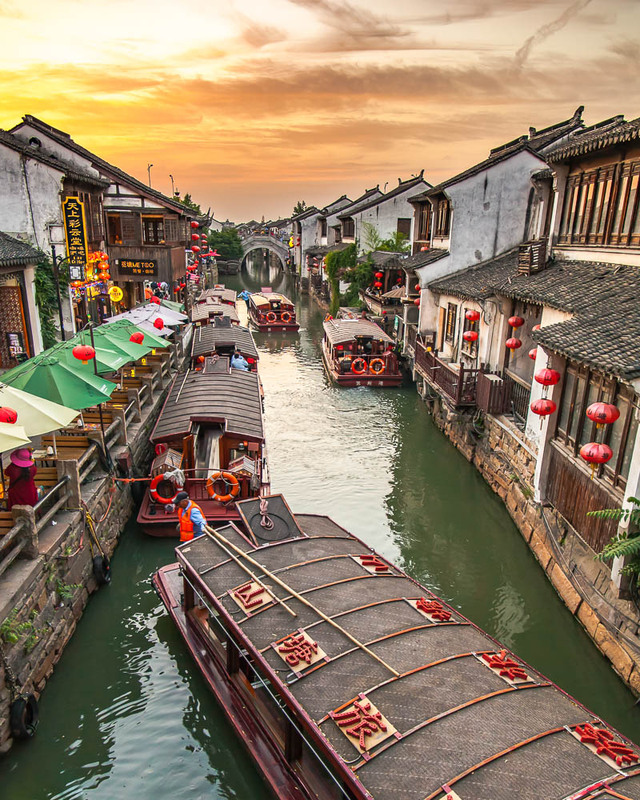 Famous for it’s UNESCO listed gardens and little canals running through the old part of the city, it’s earnt the name ‘The Venice of the East’ for a reason. 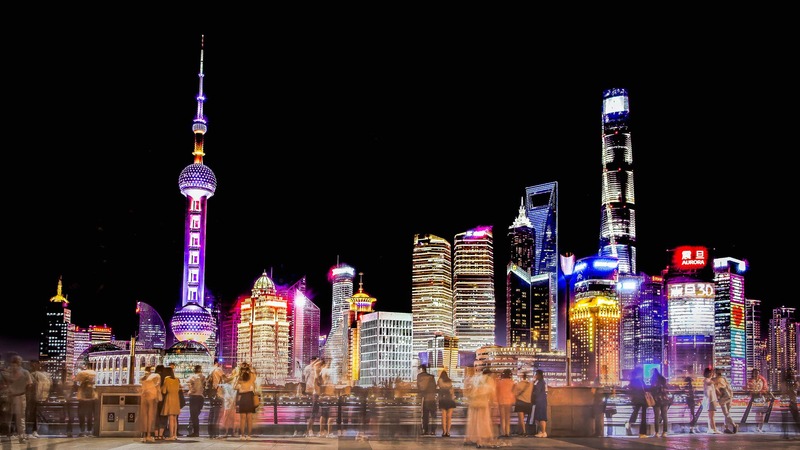 Shanghai was the finishing point for half our tour as G Adventures also offer a one-week version from Beijing to Shanghai. Here we had an included Acrobat Show Performance which was both cheesy and captivating at the same time. 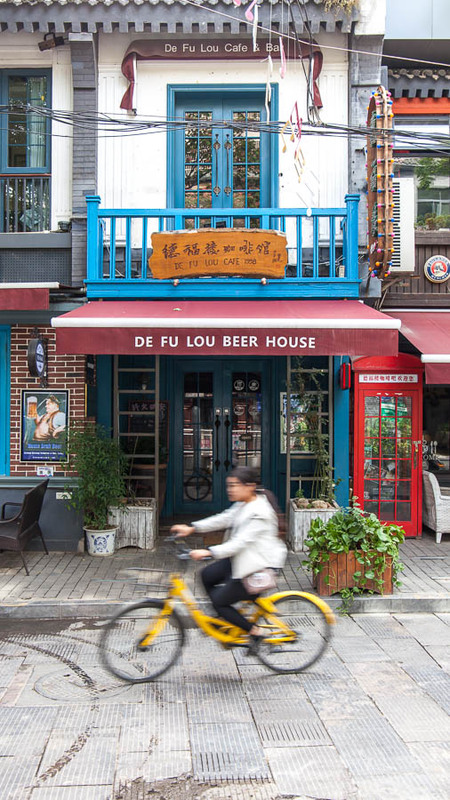 The rest of the time was free to explore The Bund, museums, temples and French Concession at our own pace. It was the first time the tour felt like it had slowed down and that was appreciated. 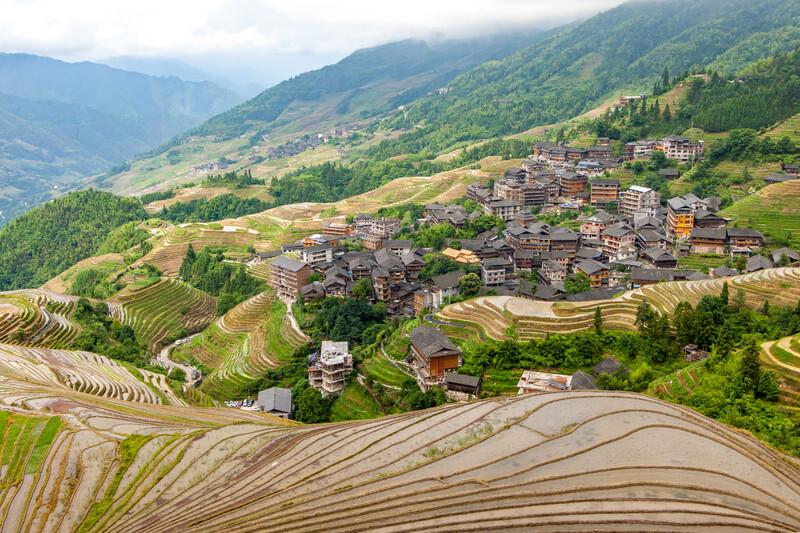 The rice terraces of Longji and our accommodation in Ping’an, a small wooden village in the mountains provided a completely different pace of life and was the highlight of the tour for me. We spent two nights here and hiked through amazing scenery, ate excellent food and learned about the Zhuang people that live and work in the mountains. A real gem. 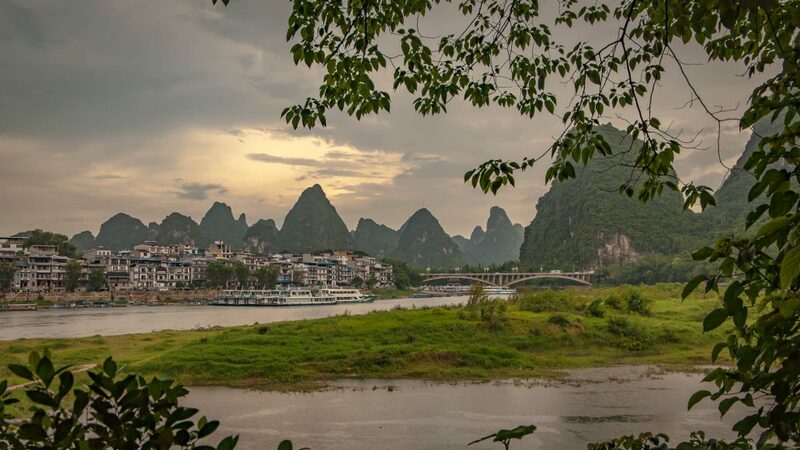 Yangshuo County is beautiful, full of Karst Mountains, incredible hikes and the famous Li River. 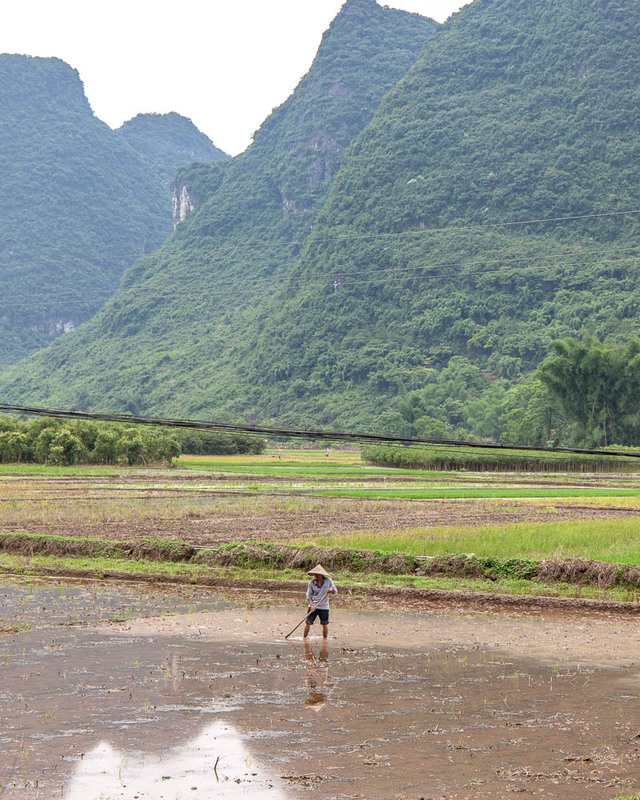 Yangshou City, however, is quite a full-on backpacker experience with loud bars and western chains. We spent most of the time outside the city though; I opted to hire an electric scooter while others did a bike and hike day (my ankle was bust, so hiking was out). The activities were much more expensive here being such a tourist hot-spot, but the water-show in the city is well worth the ticket investment. By far one of my favourite cities in the world, Hong Kong certainly deserves more than the one night the tour includes so be sure to extend your stay here. 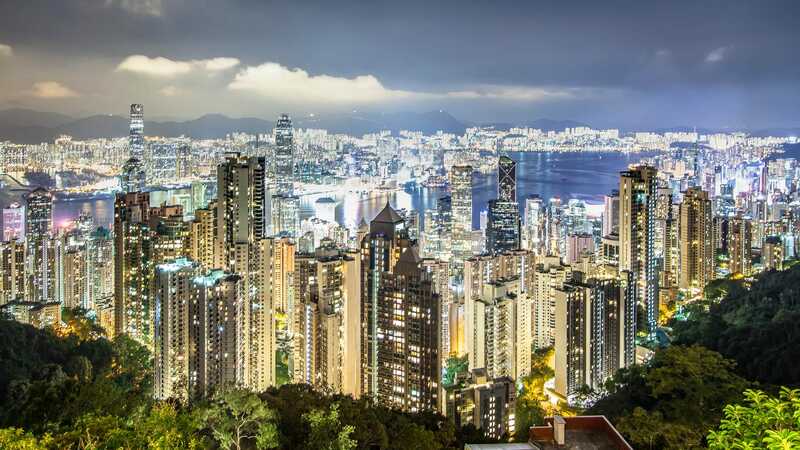 In the short time we had here we ventured to Victoria Peak for the fantastic skyline views, watch the Light and Sound show in the harbour and ate terrific Michelin recommended street food. As I’ve visited before, I was happy with the visit but for first-timers, you’ll going to want a little longer in the city. Our accommodation throughout the tour was generally to a surprisingly high standard. From the beautiful wooden hotel in Ping’an with all modern cons and amazing restaurant through to the sky-high tower in hotel with swimming pool, on the whole, I was really impressed, and it seemed that G Adventures had recently upgraded all the hotels as they ranked much better than the suggested accommodation listed on the website before departure. We had one hotel in Xi’an which wasn’t nice, felt dirty and run down, but we only spent a short one-night there. You will be travelling A LOT on this tour. Getting from the top to bottom of China and trying to cram so much in that is just a fact. 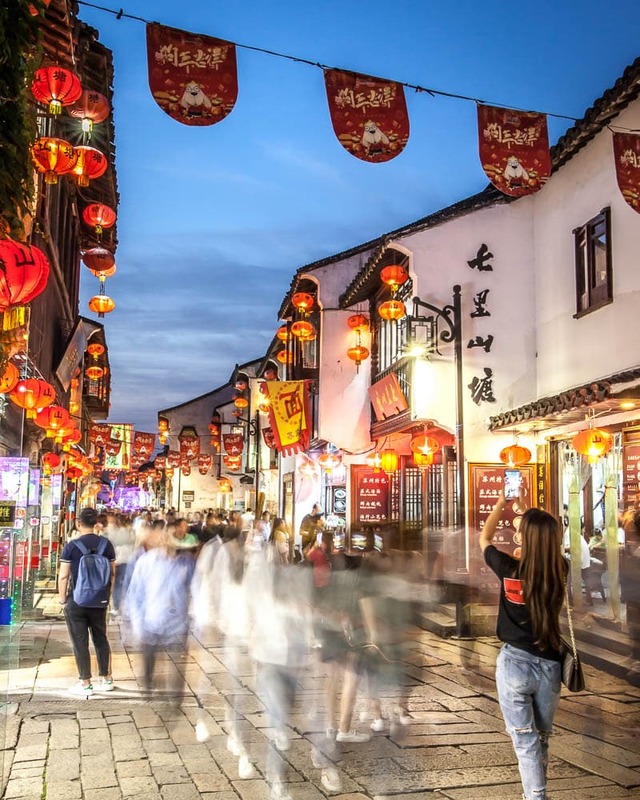 G Adventures do offer various versions of the China tour, some with flights which would suit people who want more comfort or to maximise their time; others might prefer to do an itinerary which takes in less and thus has less transport. 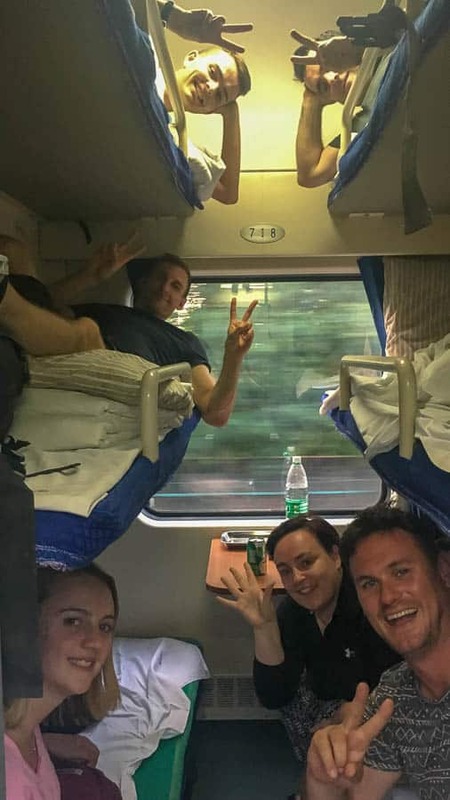 As much as I had heard bad stories about the night trains in China, the two sleeper services we had (in the basic beds category) were actually not too bad in terms of comfort or journey, it was just the sheer length of them (one was 19-hours) that was a test of patience. While I’m all for local experiences and generally prefer to travel this way, the reality is with the language barrier and early lights-out you likely won’t be making too many connections on the train, and perhaps you would prefer to spend that time exploring than in transit. 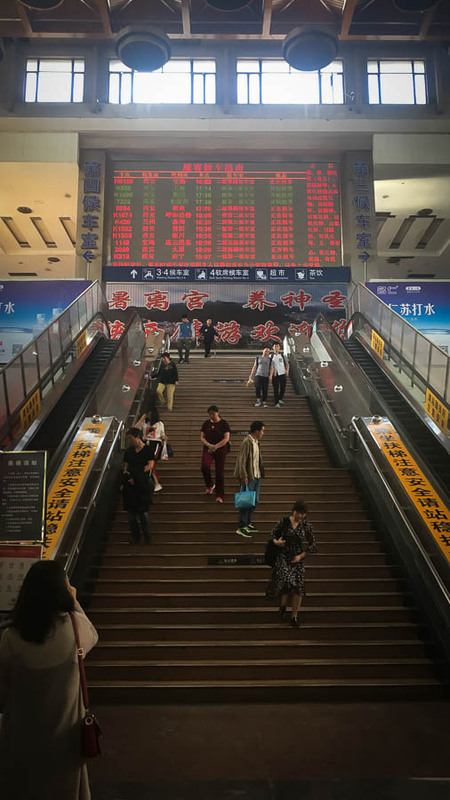 It’s also important to note while the night train might be 19-hours from Suzhou to Guilin, when you take into account the metro, private transfer connections, buses and hikes, the journey was actually 25-hours in transit. We cut that time down slightly by opting as a group to pay for a taxi in Shanghai rather than the metro, and our guide was open for us doing this a couple of times for ease with luggage, the extra couple of dollars each were a worthy investment. Essentially, decide how much time you want to spend in transport over your two-week vacation and then book the tour that suits that and your budget. The travel problem isn’t specific to a tour company; it’s just the reality of exploring a vast country in two-weeks. I’d also recommend booking airport transfers just for ease when arriving. I took a while getting through customs and when I got out my pre-booked transfer had already left (I assume) which meant I then needed to go through the haggle/hassle of getting cash straight away and finding a taxi that wasn’t conning me (even the official stand inflated the price by about 60% until I got in a metered car eventually). Times like this is when having data and translation apps come in handy. 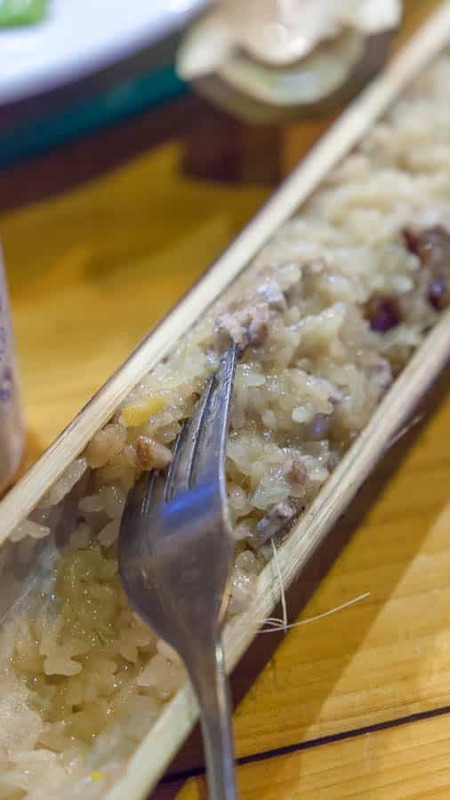 There was one lunch included on the tour which was billed as a local lunch at a farmhouse but in reality, it was a farmers house, not farm, near the Terracotta Army site, so seemed a weird inclusion as the one meal. In a couple of our hotel’s breakfast was included, although this isn’t guaranteed. Personally, I would have liked to see a few more meals included on days where we were travelling at odd hours. Some mornings we had an early start so that would have been handy and when we arrived in Xi’an and most restaurants were closed it would have been helpful for some provisions to be made rather than trawling the streets close to midnight looking for a KFC. We spent a fair bit of time waiting/eating at train stations and transport hubs. 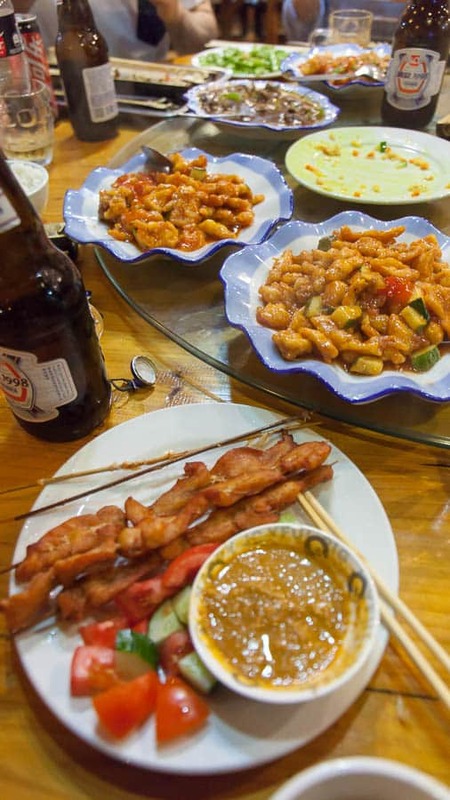 The massive bonus about travelling with a group in China though is being able to have family style meals where you order a lot of different dishes to try and then split the costs, it usually worked out pretty cheap (under $10) for a feast with drinks when dining this way. And yes, Chinese food is fantastic! The tour includes all transport and accommodation and the one lunch mentioned above. 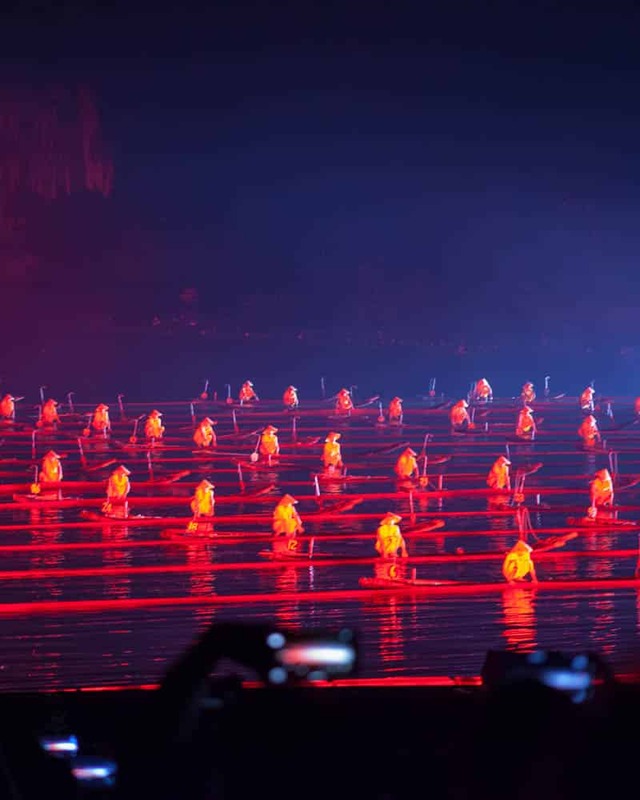 In addition to this, you had The Forbidden City, Terracotta Warriors, Great Wall trip, Master of the Nets Garden and the Acrobat performance included. 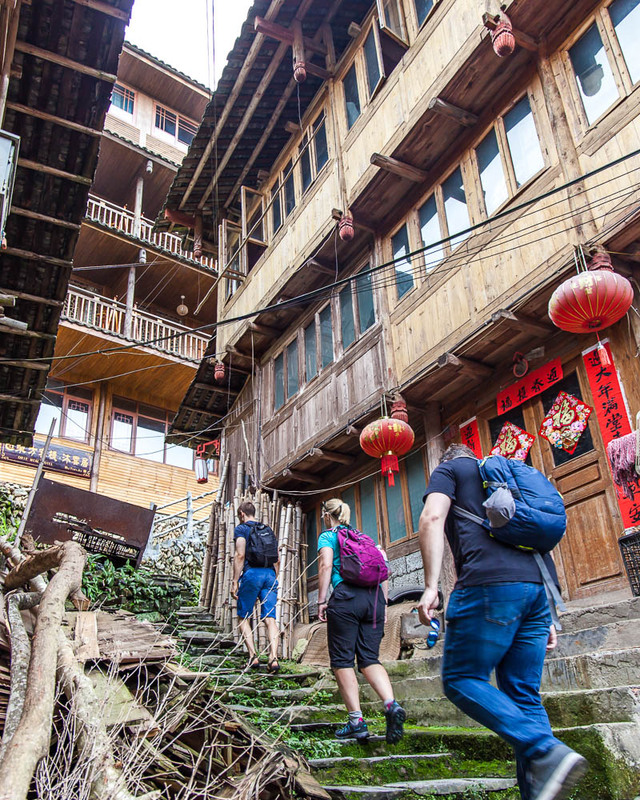 Orientation walks in the city, and the Longji Trek were also guided. The rest of the time is free to explore how you want, some of the group stuck with the guide and others broke away to explore at their own pace. I took out £430 from my account while I was in China for food and extra activities and while I wasn’t frugal, I certainly didn’t splurge. One of my favourite aspects about my G Adventures Lares Trek last year was the local interaction and the community projects that G invest in through their impact arm, Planeterra. While they don’t have any such projects included on the tour, there was also less opportunity for local interaction as well. I think most of this comes down to exploring such a vast area in a small space of time; you are mainly out and about visiting tourist attractions. 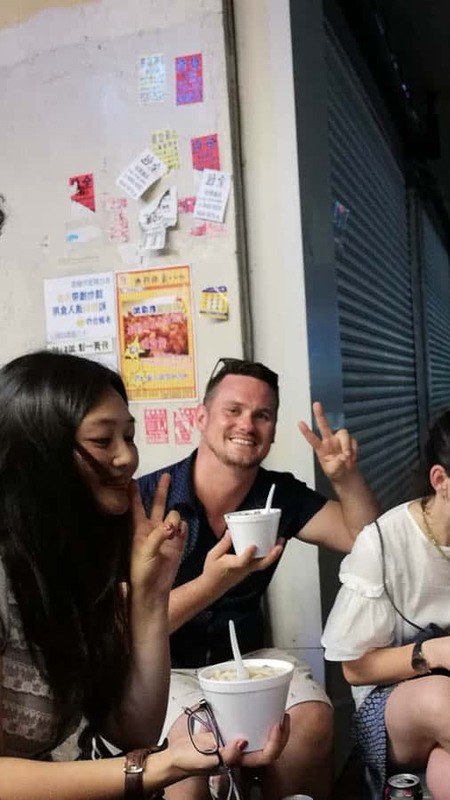 The language barrier was also a bit of an issue, but you can have surprisingly good conversations through the translation apps and having such an excellent guide to learn from and help you navigate Chinese culture was amazing. Yes, to a particular type of traveller and no to others. I think for those people who want to maximise their time more then you might prefer one of the G Adventures itineraries with the flights as I get some people just don’t want to spend two nights sleeping on trains. If you are happy to get a bit more ‘stuck-in’ then this tour provides a great introduction to so many places in a short space of time. The travel problem isn’t specific to a tour company; it’s just the reality of exploring a vast country in two-weeks. 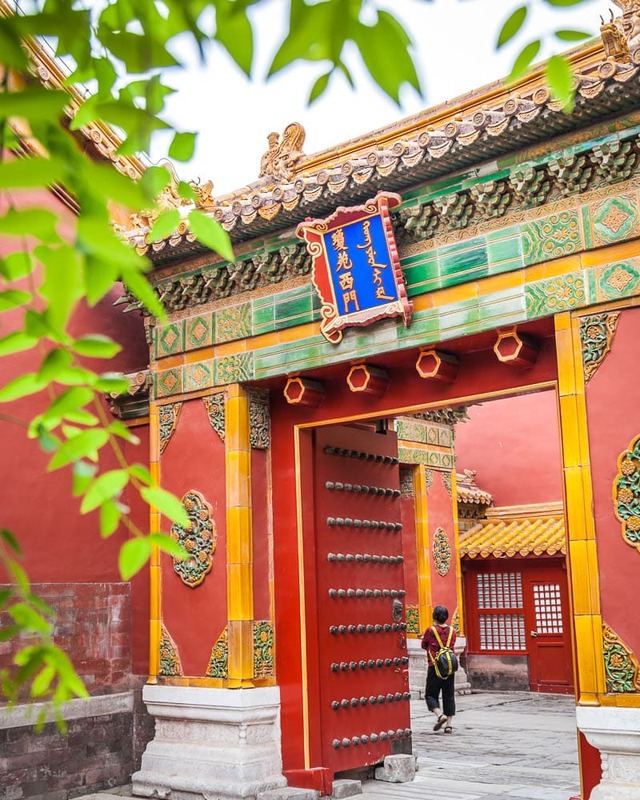 G Adventures also seem to have re-vamped the itinerary since I have returned, with the upgraded hotels I mentioned, better timings for the side trips in Beijing and a more clear overview of the transport so take a look through the various options available and decide how you want to explore China. Overall, China surpassed all my expectations, and I loved it. I’m hoping to go back next year and explore another side of the county, which is a testament to how much China impressed me. 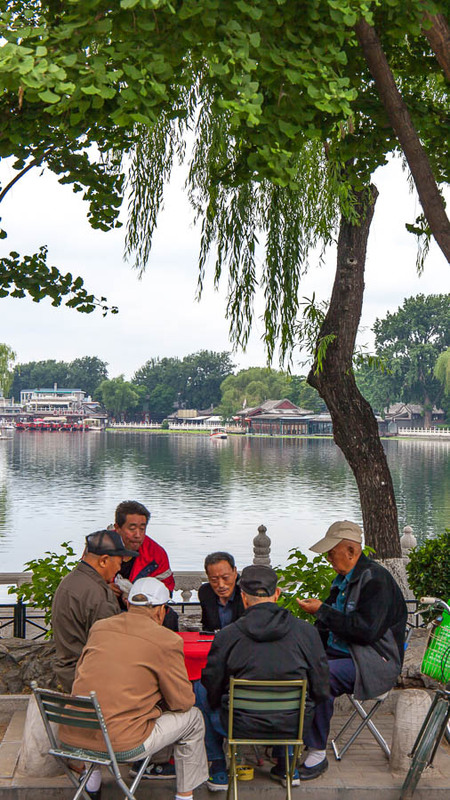 I also feel now I have been on a tour I could pull together a solo trip with more confidence, but I am happy that my first big trip to China was with a group, potentially I would have come away with a different perspective if I had muddled through it all on my own. Thanks for this helpful info! I’m doing this tour in October, as part of a 6 month trip. I’m struggling with my usual backpack as I need summer and winter clothing throughout the trip and i just can’t fit them all. Would it be possible to do this trip with a suitcase? Some people in our group did have suitcases but I know they found them quite annoying at times. It is possible, but as long as you don’t mind walking it sometimes a bit of a while on public transports and streets. It is obviously pretty chaotic on the subways for example but those who brought them managed it. The biggest hike with bags is in Pingan, but you can hire someone else to carry the suitcase if you wish. Cool to see this, I did this trip about 25 years ago. A lot has changed, but some of your photos’s I have got as well. So not everything has changed. 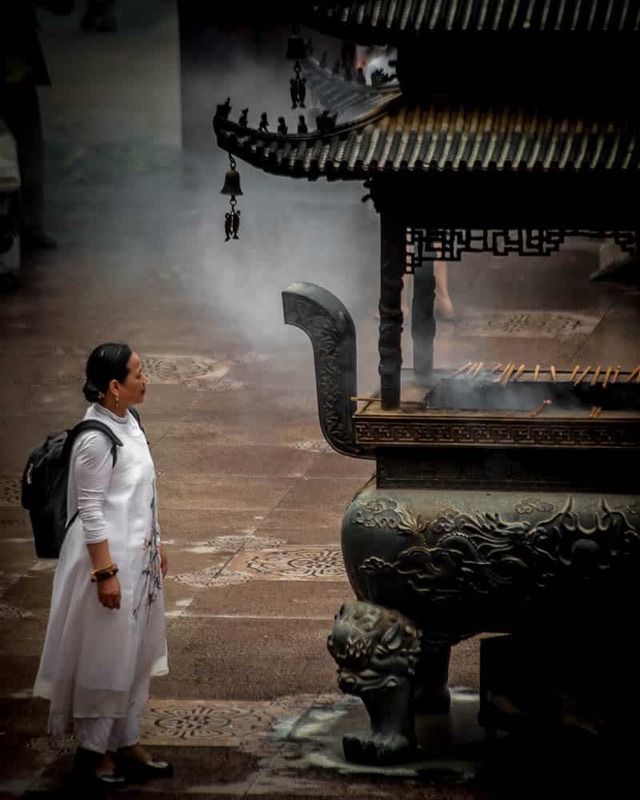 Thank you for writing such a detailed guide and experience about your visit to China. Architecture in China since the ancient days continues to puzzle me; I don’t know about the people and food but am hoping to find out when i visit later in the year. However, I’m more excited to check out the Great Wall of China before anything else. Have a fantastic time, I hope you have better weather at the wall then I had!